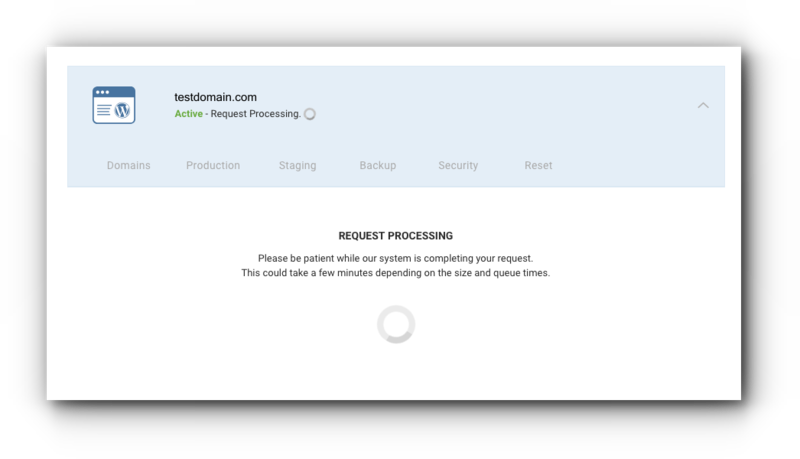 A staging site clones your current live production site on a separate environment. 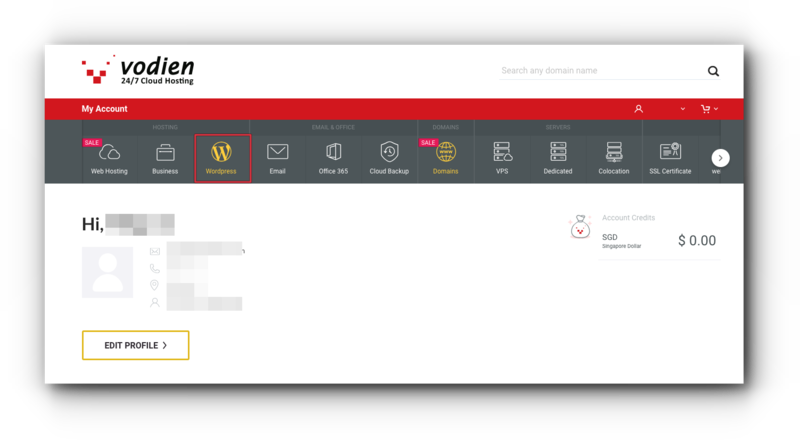 This allows you to make changes, test scripts, use themes without affecting your original WordPress site. 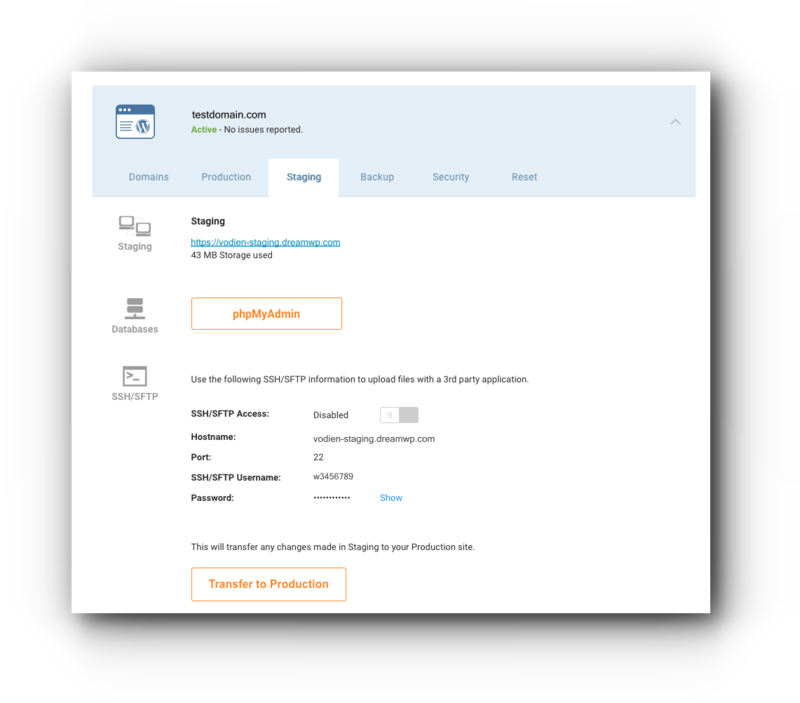 Follow the instructions below on how to create a WordPress Staging Site. Step 5. 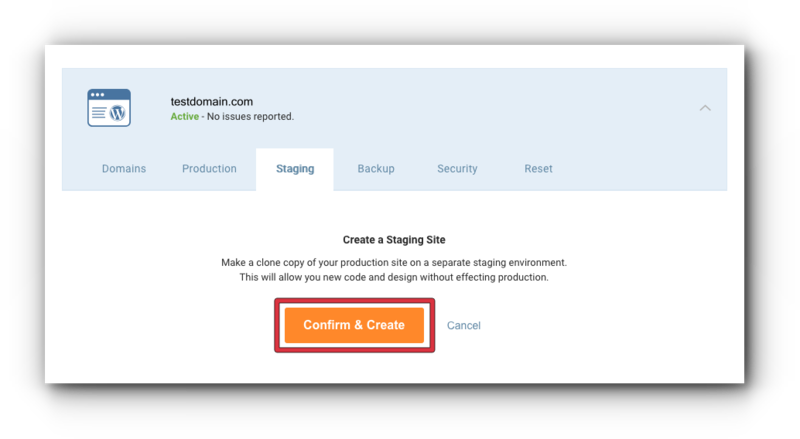 Click “Create Staging” button. Step 6. 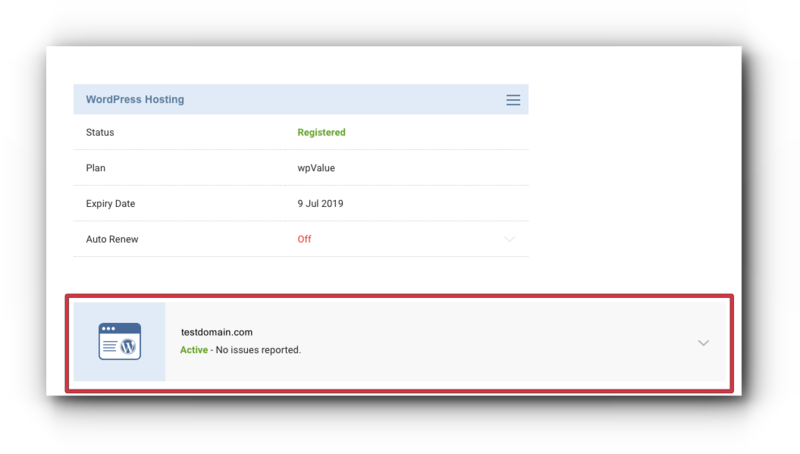 Click “Confirm & Create” button. 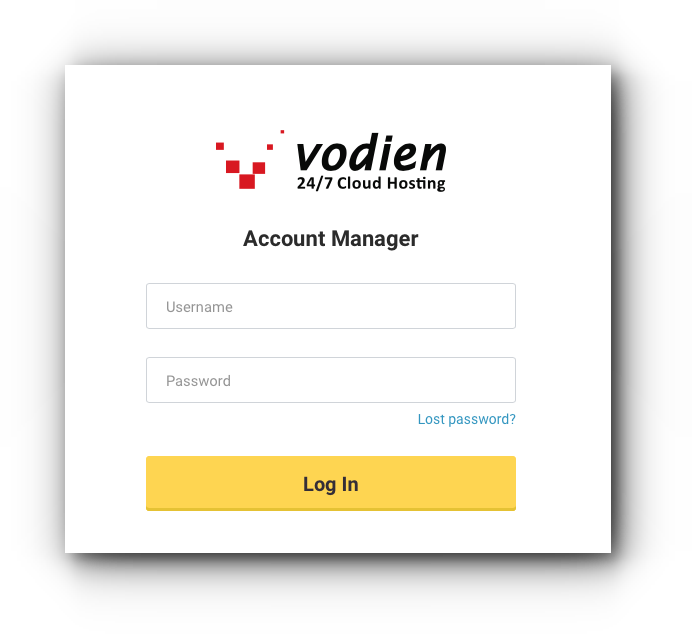 Once completed, a system generated staging site URL will be created together with a separate phpMyAdmin and SSH/SFTP credentials. 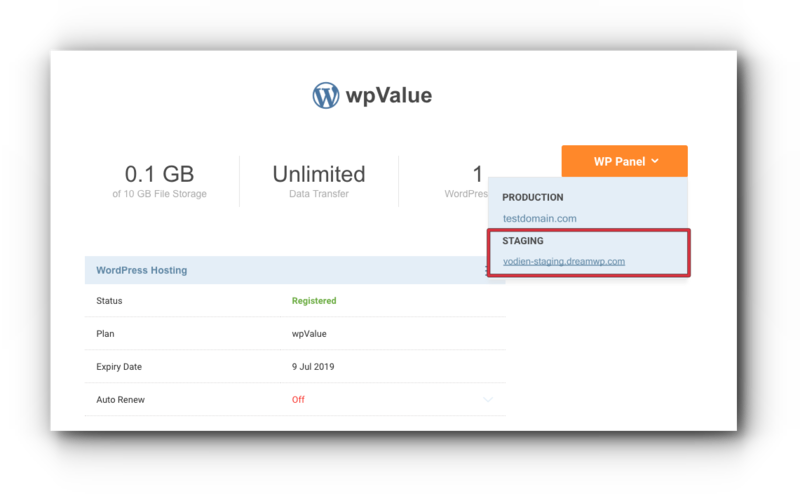 To access the staging site WordPress dashboard, click “WP Panel” and select the staging site URL.